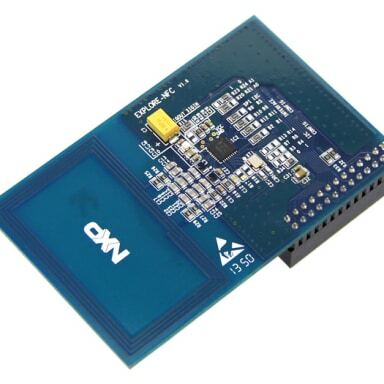 Flexible interface selection (SPI or I²C). 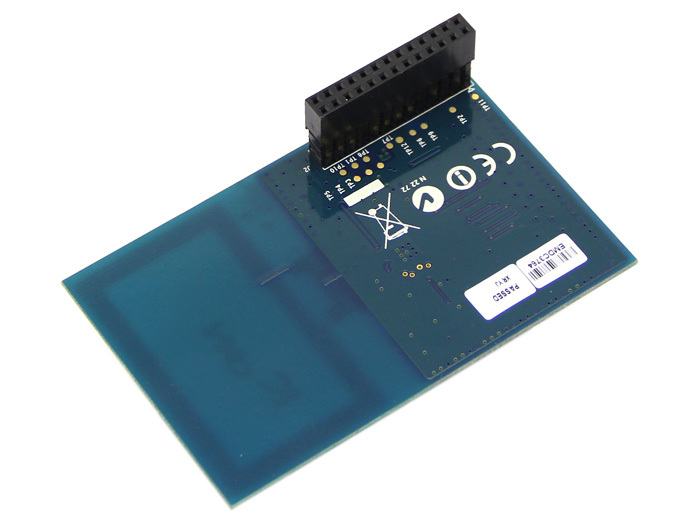 The software currently supports SPI. 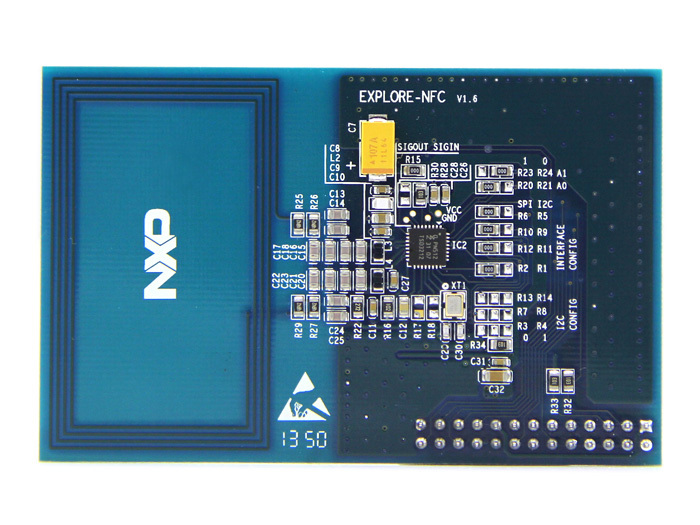 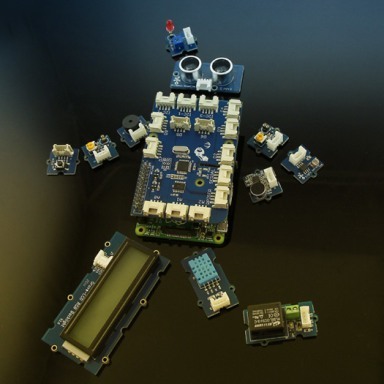 EXPLORE-NFC is a high performance fully NFC compliant expansion board. 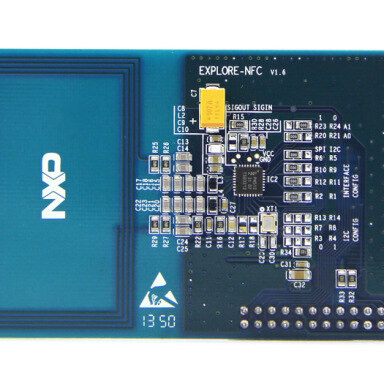 Based on the NXP PN512 solution, EXPLORE-NFC meets compliance with Reader mode, P2P mode and Card emulation standards. 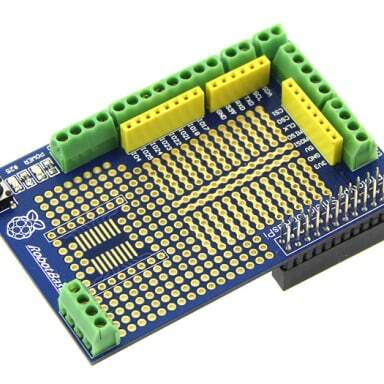 The board features an integrated high performance antenna and offers a flexible SPI interface. 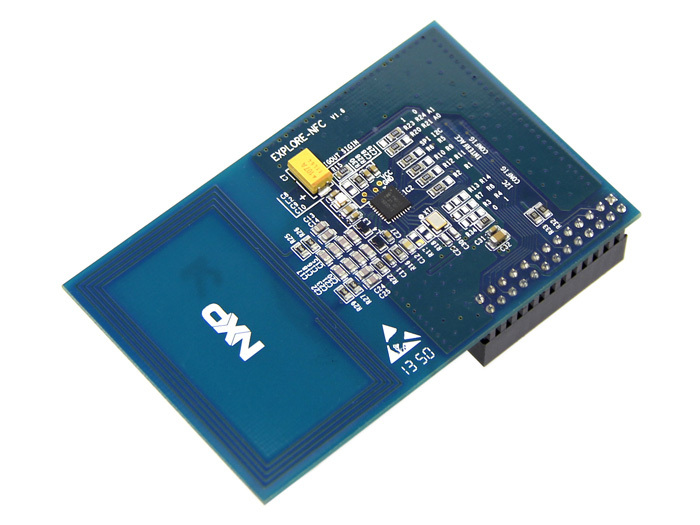 The PN512 is a highly integrated transceiver IC for contactless communication at 13.56 MHz. 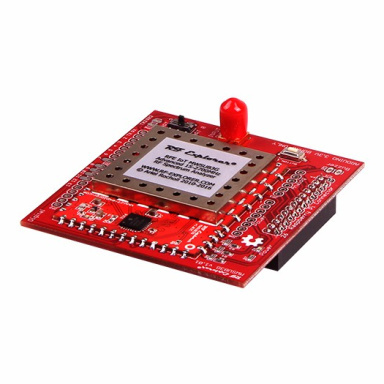 This transceiver IC utilizes an outstanding modulation and demodulation concept completely integrated for different kinds of contactless communication methods and protocols at 13.56 MHz. 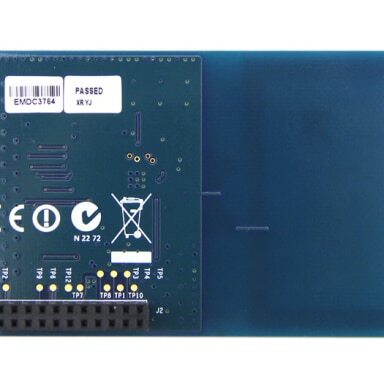 Enabled in Reader/Writer mode for ISO/IEC 14443A/MIFARE, the PN512's internal transmitter part is able to drive a reader/writer antenna designed to communicate with ISO/IEC 14443A/ MIFARE cards and transponders without additional active circuitry. 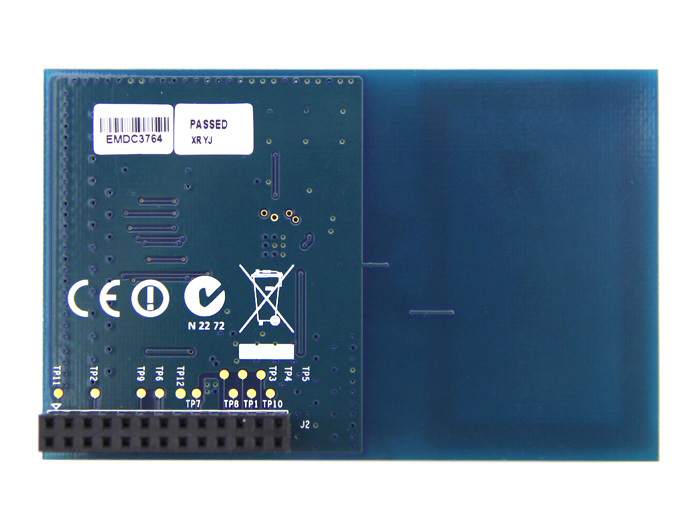 The receiver part provides a robust and efficient implementation of a demodulation and decoding circuitry for signals from ISO/IEC 14443A/MIFARE compatible cards and transponders. 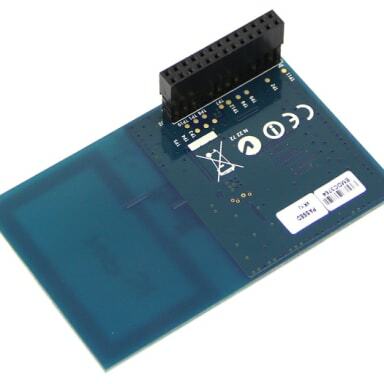 The digital part handles the complete ISO/IEC 14443A framing and error detection (Parity & CRC). 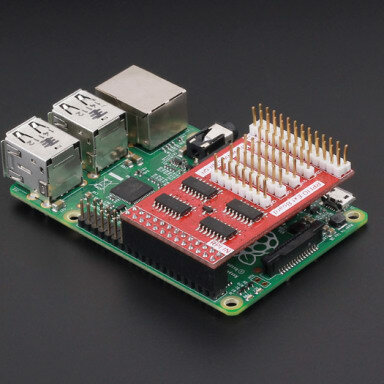 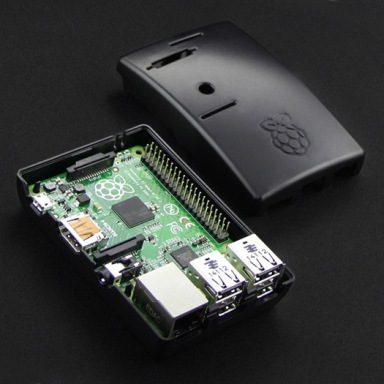 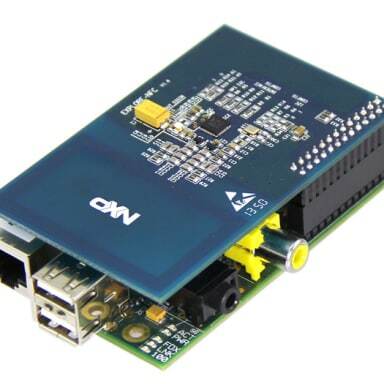 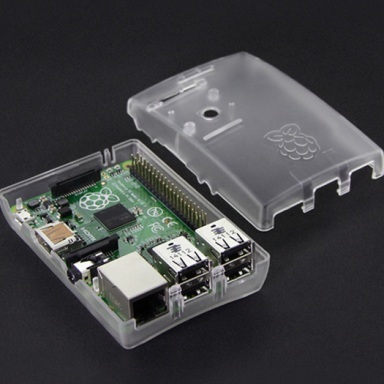 Compatible with Raspberry Pi A+,B,B+.